"Abbas Haider and Robert Davis are another duo who have launched their careers in the ballistic resistant retail industry. The pair founded Aspetto Inc., the first U.S. based company to offer high-end and couture suits and shirts for an elite clientele. 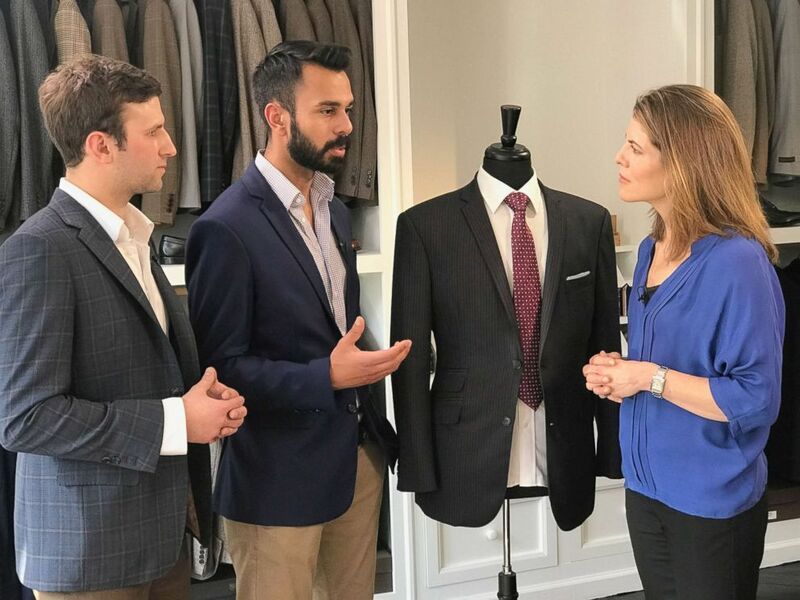 Aspetto Inc. CEO Abbas Haider and COO Robert Davis discuss their high end custom bulletproof suits. Haider said the unique area between Washington D.C. near Quantico has changed the profile of their customers. “Now we get a lot more celebrities and politicians,” he explained. The bespoke suits can range in price anywhere from $5,000 to $9,000 and are made of the same fabrics used by other luxury designers, he explained. "Our product is 100 percent made in America. Our ballistics are government approved. So if you're going to put your life behind ballistics it should be us," Haider told ABC News. The factory is based in south Florida “where all the magic happens,” he added. In addition to manufacturing the suit patterns, he says their space is also used to test the fabric with various guns to ensure it measures up to the level of protection advertised. "This is the product that saves lives. This creates the best chance for their life being saved," Davis, his partner, told ABC News. Davis showed off a suit that can withstand the blast from a 9-millimeter bullet but said it would still feel like taking a punch. Aspetto Inc. CEO Abbas Haider and COO Robert Davis look at their company’s suit patterns with Gloria Riviera. Although Aspetto has traditionally had a list of high-profile clients, Davis and Haider said more and more Americans are willing to splurge on protective clothing."